Technical Partners is a Riga, Latvia based consultancy company offering services and selected equipment in Northern Europe. 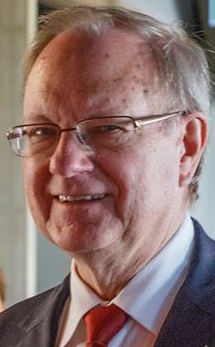 The company is operated by Ed Kalvins, a Latvian-Canadian engineer with extensive Project, Production and Engineering experience in Canada and 20+ years in Latvia, who has developed both a significant contact network and a deep understanding of local conditions while still understanding western business expectations. See www.linkedin.com/in/ed-kalvins-6b4874a for details. His particular strength is documentation and control processes required in project management and helping clients manage and develop their projects and businesses. He developed and uses the PM-PROformance™ System, www.pm-proformance.com, a hands-on project management system which helps small and medium sized business units organize project work, and supports business initiatives as the President of the Canadian Chamber of Commerce in Latvia (http://cancham.lv/). Technical Partners focus is on providing Monitoring Consultancy or expert services that help business owners and managers better organize their projects. See http://tpriga.lv/monitoring-consultancy. Because of the extensive experience of the Technical Partners team (http://tpriga.lv/our-team) and network of associates, a wide range of additional services can also be provided by this group. See http://tpriga.lv/other-services. Technical Partners was established in Canada in 1992 to serve the Baltic region operating from offices at Vienības gatve 109 in Riga, Latvia under the name of “TP Riga” SIA. Our western experience and understanding of local conditions, as well as a network of specialists means that our clients, whether they be foreign or local, get the benefits of both worlds. We can deal with project life cycles from the concept design, to technical design, to implementation while addressing efficiency, compliance and environmental issues. Technical Partners can take on responsibility for complete projects, or help our client’s project manager with their responsibilities. Our extensive experience allows us to provide training and instructions for the operations personnel of our clients, whether through the development of training programs themselves, or providing seminars on project management, maintenance management or QA and compliance issues to conform to regulatory agency regulations. To become a reliable and integral part of our Client’s organization providing technical, engineering and administrative expertise whenever our Client requires it so that he can concentrate on his business objectives and maximize his profit, and to work as if we are part of the Client’s Engineering/Technical Department or Administrative Group. Technical Partners specialists have extensive experience in production plant operations from the actual production, quality control, maintenance and plant engineering to administration, finance, sales and marketing. We work with many small projects (packaging and processing equipment purchases, production line design and installation, etc.) and are involved in project engineering, plant expansions and the construction of new facilities. Projects also include infrastructure development and larger objects including business parks, medical centers and retirement villages. Our strength is knowing production machinery, processes and plant equipment, and understanding the people who operate or maintain them. When we work on a project, we make sure that the Client gets what he thinks he is going to get when he purchases equipment or new facilities, or introduces new systems. We do this with documentation and methods developed over the years and are extremely proud of our methodology and organizational abilities. This is perhaps our main strength which serves everyone involved (owner, supplier, engineer) very well. Technical Partners developed and uses the PM-PROformance™ System (http://pm-proformance.com/) of project management, and offers this system to its clients for more effective project management. Easy to use. Easy to understand. Easily applied to many different circumstances. Companies and business people wishing to use the proven skills of experienced professionals. Investors, owners or managers involved in manufacturing or commercial establishments. Please contact me at ed.kalvins@tpriga.lv and let’s see what we can do for you.